Scotland is home of a vibrant culture and awe-inspiring scenery. With more than 30,000 square miles filled with countless treasures to discover, getting off the beaten track and independent travelling are key themes on any holidaymakers itinerary for Scotland. 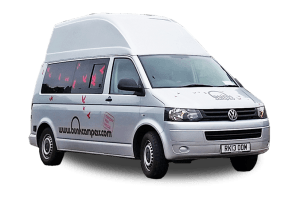 With your self-catering transport and accommodation in one and the freedom to go your own way, campervan hire is the perfect solution for touring Scotland’s best destinations. 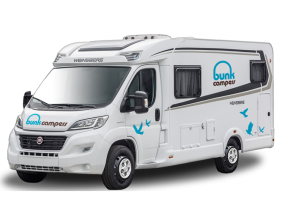 From Bunk Campers’ Edinburgh or Glasgow depots, exploring the majestic landscapes of Scotland is now easier than ever. 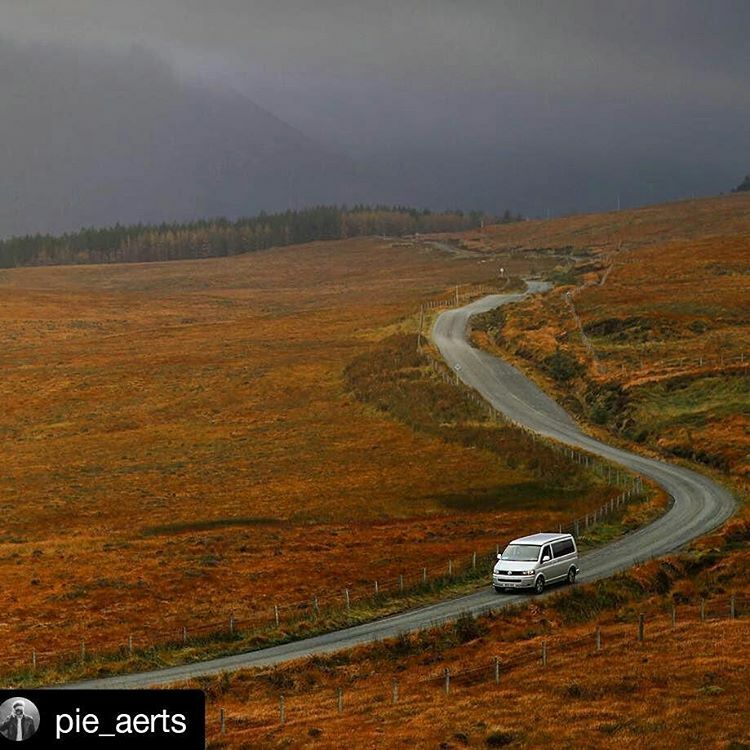 With a large fleet of campervans and motorhomes to suit all tastes and budgets, your road trip around Scotland won’t be only an amazing journey, but a unique experience. To help decide where to go on your journey, read our top 5 destinations for touring Scotland in your campervan. Speyside is the cradle of the best-known Single Malt whisky in the world. 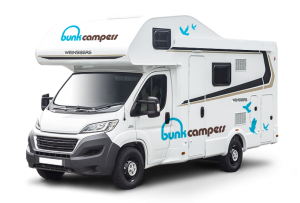 Drive northwards from Bunk Campers’ Edinburgh depot and tour the 70-mile trail where Glenfiddich, Cardhu or The Glenlivet are born. With 8 distilleries to discover, challenge your senses and enjoy the Water of Life! 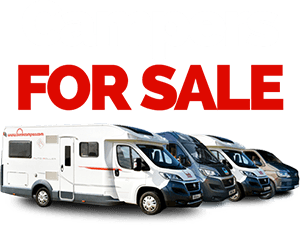 Located in the South of Scotland, the region is easily accessible from either our Edinburgh or Glasgow depots. 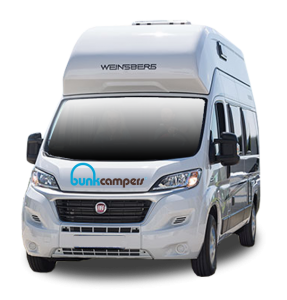 Travel around this gem of a place in your camper and get swept up in its summits, forests, shores and rare wildlife. Explore Dumfries and Galloway’s castles, mills or mines that not only inspired great writers and artist, including Robert Burns, but also the region’s everyday life. Make a last stop at Galloway Forest Park and enjoy a day of action-packed activities in a magical environment. After spending some days in the stunning Glencoe – arguably the Highlands’s most famous and scenic glen – drive northwards along the A82 to Fort William. You will wonder at this 30-mile narrow and windy road with magical views. 15 minutes away from Fort William is Glen Nevis, where Braveheart was filmed. Can you imagine a more epic end to a Scottish road trip? 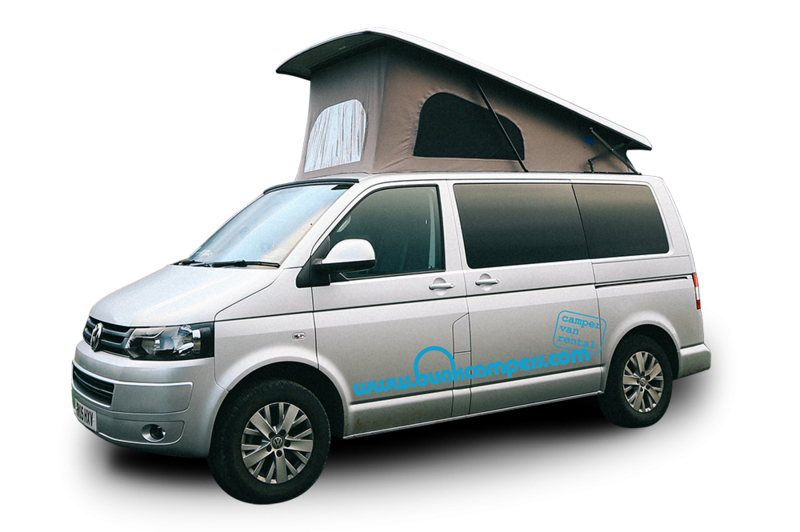 Hiring a campervan doesn’t mean you can’t enjoy the best of Scotland’s islands. 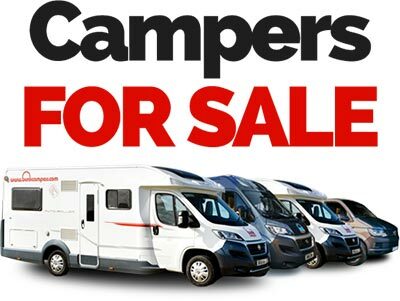 On the contrary, your camper will lead you to the most remote, peaceful island paradises. 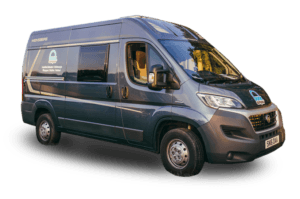 All of our campervans are suitable to travel on main ferry routes from Scotland’s mainland to the islands. Why not experience a wonderful walk around the enchanting Arral Coastal Way? In the afternoon, get back to the road and drive northwards. Visit the picturesque village of Tobermory (Mull) and from there, the magic-shaped Fingal’s Cave at the uninhabited Staffa Island. Continue your island hopping adventure at the fairy pools of the Isle of Skye. Finally, reach the “Scottish Caribbean” on the Isle of Harris: same turquoise waters and sandy beaches… just a few degrees cooler! The Cairngorms National Park is the located in the heart of the Scottish Highlands. The largest in the UK, the park hosts wonderful flora and fauna, exceptionally cared by the local communities. 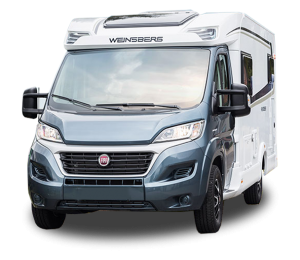 With several great campsites to park up your camper for the night, you biggest concern will be how to find time for all the great outdoor activities! Hiking, cycling, rafting, golf, swimming, ranger safaris, skiing… the park offers attractions and events for all ages, tastes and seasons. But what’s more, don’t miss the castles, historic sites and unique villages surrounding Cairngorms! 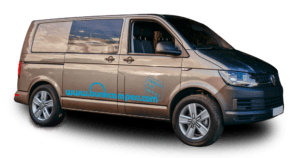 If you are interested in touring Scotland, hire a campervan from Edinburgh with Bunk Campers from only £35 per day. 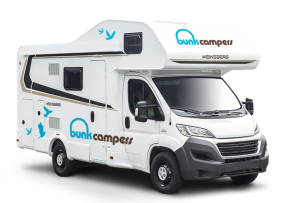 For more information and booking, use Bunk Campers’ online engine, email [email protected] or call +44 (0) 2890 813057. Don’t forget to follow us on Twitter and Facebook to be updated on the latest promotions, travel routes, destinations and tips!